Twitter is one of the most popular social media platforms. I like twitter because it stands out uniquely with awesome features. 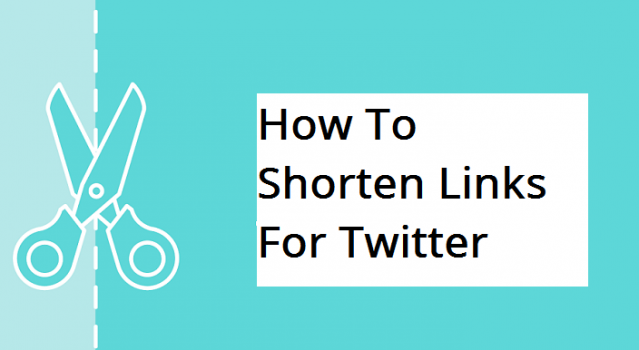 Here’s an article that will show you how to shorten links for Twitter. If you find someone who says he or she loves social media but doesn’t have a twitter account, then that person just likes social media. He/She doesn’t ”love” social media. Well, I actually, made that up. But to be frank, who likes long stressful stuff these days? Everyone wants it straight to the point. Facebook has this new colored status background feature that works when your status is short and straight to the point. Twitter is known for being short already. Well, Twitter actually increased the maximum amount of words (to about 120) allowed in a tweet and that’s a good one. Everything is changing. Smartphone users now prefer bezel-less phones to large devices with not so good/large screen. They just want it to be short, make the bezels small or remove it completely. Twitter is one social media platform that can make you learn how to be patient and humble. Yes! You cant just go there and type how your day went and expect Twitter to accept that. It’s different from Facebook and Whatsapp. With Twitter, you just have to be as simple and short as possible. Twitter is just like headlines in a newspaper. Just get everything in a bit. Now, it’s trending to see people add and sharing links on Twitter as much as possible. Links could also be added to texts and that will also affect the length. So if your link is as long as a giraffes neck, coupled with the rest of the tweet, you will definitely find yourself truncating the text and even break the whole thing. The way out is just the answer to the title of this post. How to shorten links for twitter. So in the next few pages, you will learn how to shorten links for Twitter. To shorten links for Twitter, you don’t need to do too much techy stuff. Clicking on the shortened link immediately takes you to the same long address. You get the feeling right? Now let’s quickly see how to shorten links on Twitter in the easiest and user-friendly way possible. This method is safe and would definitely save you a lot of stress. Before you move on, let me let you know that twitter blocks a lot of link shortening services and has since flag them negatively. But, the good news is, the one I am gonna share below is as secure as possible. Twitter hasn’t blocked it and might never do so. Let head straight to the context. To shorten links for Twitter, follow the guide below. 2. Enter the post/update you want to share in the required field. 3. Now copy the link you wish to add or shorten. You can copy the link by pressing and holding the link and then select copy from the options that will pop out. If you are using a computer, it’s pretty easy. 4. Now go to goo.gl in your browser. 5. Click on the space to enter your link and paste it there. 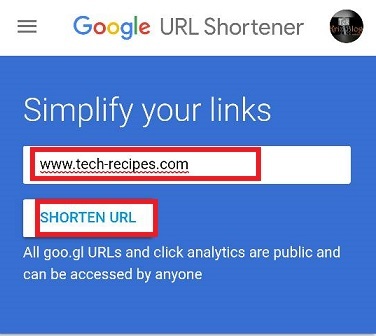 After pasting the link, select the SHORTEN URL button. 6. The next page will show you a shortened link. 7. Click the copy icon to copy the link to the clipboard. 8. Now you can go back to the tweet and paste the copied shortened link instead using the long link. You can comfortably shorten any link you want and even share it on other social media platforms, forums, websites etc. It works almost immediately and you can shorten as much as you want, anytime. Let us know if you have any question on shortening links for Twitter, we would be very happy to respond to you.